Since the nation's birth, women have played a role in the military. As the colonies struggled for independence, women were on battlefields doing their part. One of those heroes was Molly Pitcher (whether Molly Pitcher is the name given to Mary Ludwig Hays or to a group of women) during the Battle of Monmouth in New Jersey. According to folklore, she went out in 100-degree heat with pitchers of water for the Revolutionary soldiers as the battle raged. Sometime during the battle against the British, her husband fell at his artillery station. As he was carried off the battlefield, she continued to "swab and load" the cannon with her husband's ramrod. Women filled an important role during the American Civil War. Many wanted to fight. Though officially barred from combat, some dressed as men and fought alongside their fellow soldiers. It is estimated that more than 400 women disguised themselves and were in active engagements. Many saved men's lives as they nursed soldiers in their recovery from wounds and sickness. During the Spanish-American War, the newly established Camp Thomas at Chickamauga battlefield was used as a training facility. However, the camp became a battlefield of disease when typhoid fever broke out and took the lives of 752 men. The use of Army female nurses opened eyes to the prospect of women taking an active role in the military. During World War I, women found themselves taking jobs in manufacturing munitions, allowing men to go overseas to fight. Women soon became quite proficient at what formerly had been "men's jobs." Their huge production of munitions showed that women were capable of doing this important work. Also, many women took up the nurses' mantle when the numbers of the sick and wounded rose. As World War II ignited, women again showed their capabilities supporting their country. During the early war years they began assisting directly in the war effort. Edith Nourse Rogers, a congresswoman from Massachusetts, introduced legislation in 1941 establishing the Women's Army Auxiliary Corps (WAAC), which gave food, clothing, housing, medical care, training and pay to women filling the gaps left by a shortage of men — while allowing no veterans medical care, overseas pay or other benefits. Rogers introduced a bill in October 1942 making WAAC's a formal part of the U.S. Army Reserve. Fearing it would hinder other war legislation, Gen. George Marshall initially declined to support the bill but changed his mind when he realized that two systems were too difficult to manage. Accordingly, Rogers and Oveta Culp Hobby, WAAC's first director, drafted a new bill which was approved by Congress and signed by President Franklin Roosevelt in July 1943. This legislation established the Women's Army Corps (WAC) and made the unit a recognized part of the U.S. Army. What does all this have to do with the Chickamauga and Chattanooga National Military Park? 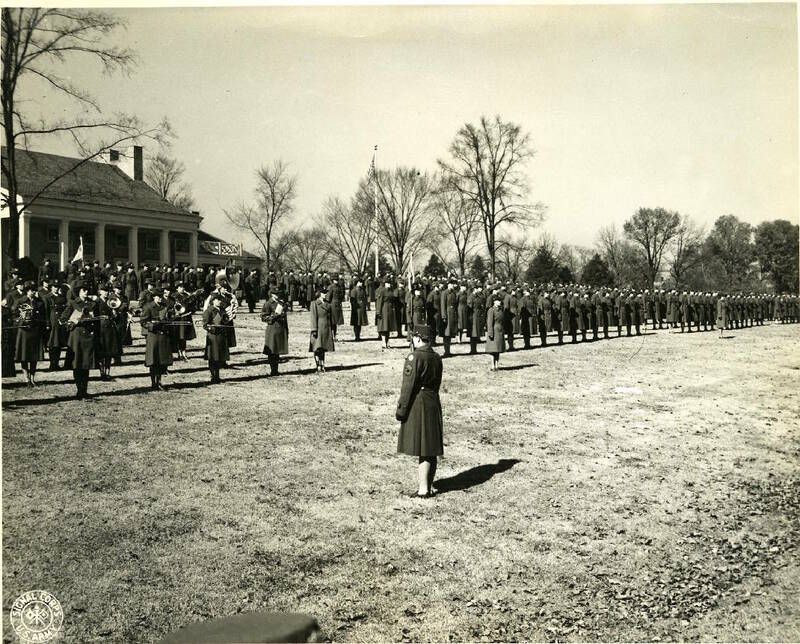 During World War II, Chickamauga became the home of the 3rd WAC training facility. Here, women came to do their part in protecting the freedoms of their country. During the war, more than 150,000 women served in the WAC, and almost one-third of that force trained at Fort Oglethorpe in areas ranging from office to motor pool. Every woman in the WAC knew the job she filled allowed a man to go fight and thus hasten the end of the war. It is little known that the Chickamauga battlefield hosted the WAC facility. However, if you hike into the woods just west of Tour Stop 2, you can still see traces of the buildings. Many trails in this area were once streets, zigzagging in a maze throughout the former WAC facility. Sitting in the middle of the group camping area are several large concrete pads, which supported classrooms. Many women took their very first steps at Chickamauga in their part to keep America free and end one of the most devastating wars in history. Brian Autry is an interpretive ranger at Chickamauga and Chattanooga National Military Park. Frank "Mickey" Robbins, an investment adviser at Patten and Patten, contributed to this article. For more, visit chattahistoricalassoc.org.